Despite having three episodes yet to air at the time of this writing, I will still say with unwavering confidence that the third season of iZombie may very well be its strongest offering to date. Featuring an intricately plotted overarching narrative and compelling murder mysteries each week, this particular series has set itself apart from other DC TV shows insofar that it’s not about superheroes, but rather, seamlessly blends the horror, comedy and drama genres. In other words, it’s clever, it’s funny and may be one of the best things on TV. This year, Liv Moore and the gang have had their hands full, to say the least. So, while lead actress Rose McIver continues to essentially play a new character with each episode (Liv’s consuming of brains allows her to take on the personality traits of murder victims, and to experience their memories), Clive has been tirelessly pursuing the killers of a family close to him, a crime that may or may not have been perpetrated by a group of conspiracy theorists. Plus, Ravi continues to search for a cure to the zombie virus and Peyton takes on a greater role. 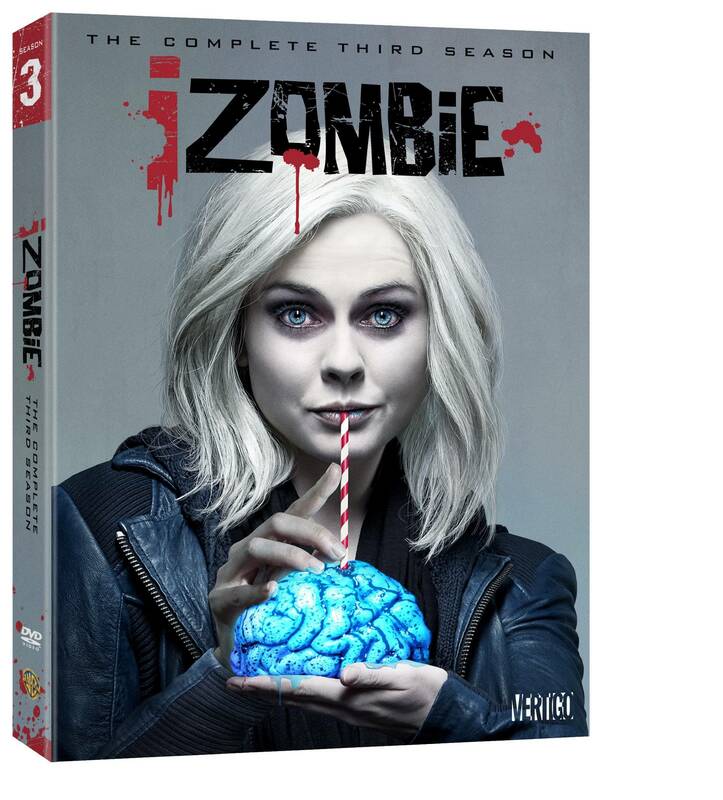 That said, we highly encourage you to double dip or experience iZombie: The Complete Third Season for the first time when it comes to home video on October 3. It should be noted that only the DVD will see release in chain stores, while the Blu-ray will be made available online through Amazon.com and other retailers like it courtesy of Warner Archive Collection.